AC Maintenance | Gravity International W.L.L. We’re AC Maintenance Service provider in Qatar .We are providing service for all brands and models of air conditioner. We offer expert air conditioning repair services and cooling equipment options for every need. Making your home cool and comfortable is what we do. Our quality air conditioning repair services are performed by professionally qualified technicians. 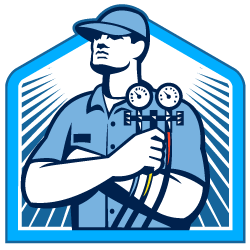 Service Experts is fully licensed and insured in air conditioning repair, sales, installation and air conditioning maintenance for all brands of cooling equipment. All types of repairs whether on site or in workshop undertaken. Imported vacuum pumps and tools are available for repairs and evaluations. Spares procurement for different products and models at reasonable charges. Compressors replacements done at site ( for splits & ductables) and in workshop ( for windows). Product up-gradations suggested and provided after through technical study. Calls us for you air conditioner service, we are reliable. If you want annual maintenance for newly installed Air Conditioners by us, we will do the maintenance for very low cost. We provide all types of contracts labor, semi-comprehensive and comprehensive for full range of air conditioners. It gives us great pleasure in attending and renewing contracts of our prestigious clients year after year. Contact us for H-VAC maintenance contract.